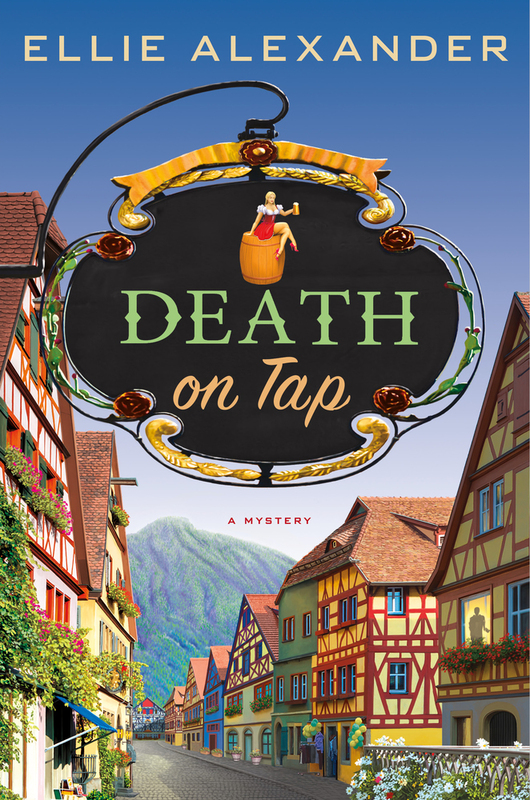 From Ellie Alexander, beloved author of the Bakeshop Mysteries, comes the first in an intoxicating new series: Death on Tap. When Sloan Krause walks in on her husband, Mac, screwing the barmaid, she gives him the boot. Sloan has spent her life in Leavenworth, Washington becoming an expert in brewing craft beer, and she doesn’t have time to be held back by her soon-to-be ex-husband. She decides to strike out on her own, breaking away from the Krause family brewery, and goes to work for Nitro, the hip new nano-brewery in the Bavarian-themed town. Nitro’s owner, brewmaster Garrett Strong, has the brew-world abuzz with his newest recipe, “Pucker-Up IPA.” This place is the new cool place in town, and Mac can’t help but be green with envy at their success. But just as Sloan is settling in to her new gig, she finds one of Nitro’s competitors dead in the fermenting tub, clutching the secret recipe for the IPA. When Mac, is arrested, Sloan knows that her ex might be a cheater, but a murderer? No way. Danger is brewing in Beervaria and suddenly Sloan is on the case. ELLIE ALEXANDER is a Pacific Northwest native who spends ample time testing pastry recipes in her home kitchen or at one of the many famed coffeehouses nearby. When she's not coated in flour, you'll find her outside exploring hiking trails and trying to burn off calories consumed in the name of "research." Ellie is the author of the Bakeshop Mysteries, including Another One Bites the Crust. Find her on Facebook to learn more!